Welcome To Day 14 Of Baking With Pumpkin! The original idea I wanted to have for my Holiday Party centerpiece for my husbands command, did not come to fruitarian as I had wanted, exactly. I am trying to be able to purchase everything only here in Japan to save on costs and waiting times. It has somewhat been easier but also at the same time a really huge pain. So I had to compromise with myself and pretty sure I now have a nice centerpiece ready to present to the whole committee tomorrow. We shall see as there will be 4 different ones to be voted on, 3 aside from mine, from my own committee. I set it all up and took pictures of it this evening in between baking and then I printed my pictures I will be presenting tomorrow. It stresses me a little. I am wanting it to be over soon,lol. I have to be honest, I had never made a “Blondie” before today. Not sure why not exactly but these ones are a keeper for sure. I am really enjoying all the flavors I am finding work with pumpkin. These have nuts and 2 different kinds of chips in it. Really tasty and easy to make! Preheat oven to 350 degrees F. Grease a 8x8 or 9x13-inch baking pan and line with parchment paper, with enough to hang over the sides; set aside. In a large bowl, whisk together the melted butter and both sugars until completely smooth and no lumps remain. Add the egg and vanilla and whisk to incorporate, making sure the egg has been completely mixed in. Add the pumpkin and again whisk to fully incorporate. Add the flour mixture to the batter and, using a rubber spatula, fold the mixture until combined and no pockets of flour remain. Fold in the butterscotch chips, white chocolate chips and pecans. Pour the batter into the prepared pan and smooth into an even layer. Bake until a toothpick inserted into the center comes out clean, 45 to 60 minutes. If using the 9x13 pan bake 35-40 minutes.Set the pan on a wire rack to cool completely, then use the parchment handles to lift the bars out of the pan and cut into squares. Store in an airtight container at room temperature for up to 5 days. If you are unaware, today, August 15th, Julia Child was born! Today would have been her 100th birthday!! Happy Birthday!! Everyone has been encouraged to bake or cook to honor her this month. Earlier in the month I did so by making Julia’s French Apple Tart, if you have never made one..what are you waiting for?? It’s delicious! 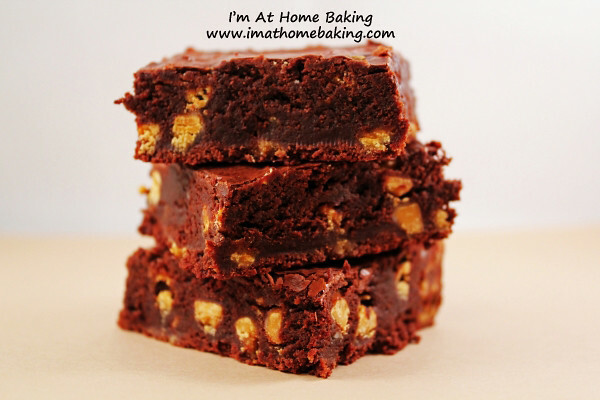 Now, today in celebration of her actual 100th birthday, I decided to make her best-ever brownies! That is quite a thing to live up to. I hear people say stuff is the best-ever all the time in the baking world. Sometimes I agree, other times…not so much. I have to tell you, I usually use the Hershey’s Best Brownie recipe when I have the desire to make brownies for my love! Then I thought to myself the other night, Julia MUST have a to-die-for brownie recipe somewhere! 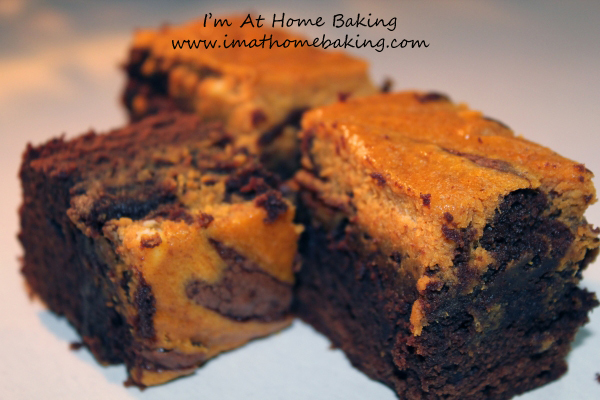 Now that I’ve made them, even ate one myself…I can tell you they are the best ever brownies!! They taste so good & chocolatey amazing. It is now my go-to brownie recipe, forever! I will tell you I made a minor adjustment to the baking time. The recipe states these are very gooey and to bake them just till they are set, around 23 minutes. While some people may like that, we are not those people. I baked mine for approximately 35-40 minutes. I checked with a toothpick, when it came out clean, I was happy and took them out. Have you participated at all in celebrating Julia’s life? 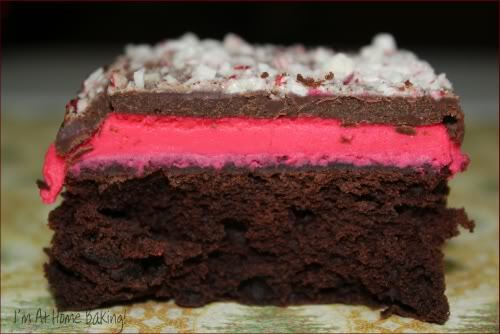 "Those who are passionate about brownies argue in defense of their favorite type, cakey or fudgey. If you're a cakey fan, go on to another recipe. These are the epitome of soft, dark baked-just-until-barely-set brownies. Their creamy texture makes them seem wildly luxurious and very much a treat to be meted out in small servings (just small enough for a scoop of ice cream and some chocolate sauce). The mixing method is unorthodox for a brownie. Half of an egg-sugar mixture is stirred into the melted chocolate and butter, while the other half is whipped until it thickens and doubles in volume. The lightened eggs are folded into the chocolate with a delicate touch, as are the dry ingredients--tricks that enhance the brownies' lovely texture." Sift the flour and salt together; set aside. Melt the butter and chocolate together in a medium saucepan over low heat, stirring frequently and keeping a watchful eye on the pot to make certain the chocolate doesn't scorch (Alternatively, you can melt the ingredients in the top of a double boiler over, not touching, simmering water.) Add 1 cup of the sugar to the mixture and stir for half a minute, then remove the pan from the heat and stir in the vanilla. Pour and scrape the batter in to an unbuttered 9-inch square pan. 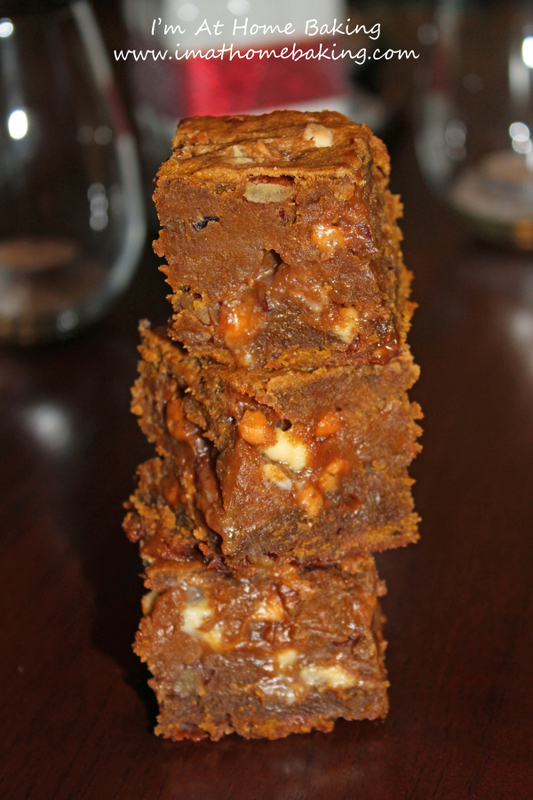 Bake the brownies for 22-26 minutes, during which time they will rise a little and the top will turn dark and dry. Cut into the center at about the 22-minute mark to see how the brownies are progressing: they'll be perfect if they're just barely set and still pretty gooey. They're still awfully good on the other side of set, so don't worry if you miss the moment on your first try. 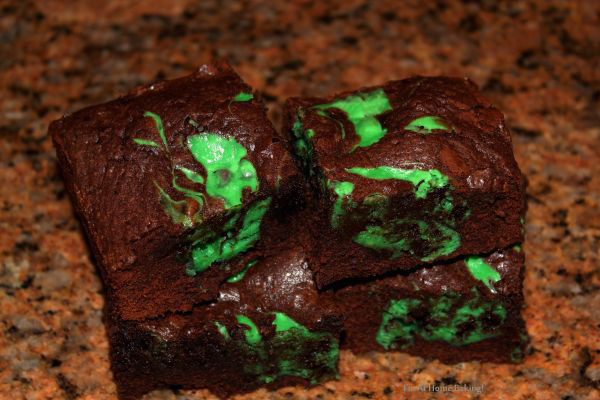 Feel free to use a brownie pan, fill each cavity half full. 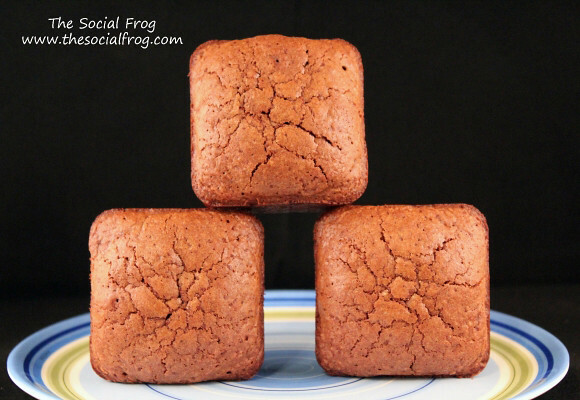 Bake less (23 minutes) for gooey brownies or (30-40 minutes) for a firmer center but still delicious! !